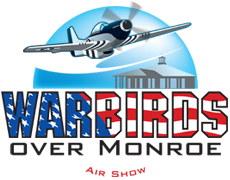 The City of Monroe welcomes you to our Warbirds Over Monroe 2016 Air Show held Nov.11-13, 2016. This will be an amazing, entertaining, and educational event sure to excite and astonish. In 2005 Warriors & Warbirds started as a dream of several local pilots. With help from the City of Monroe, the Veterans Council of Union County, local businesses, and the hard work of volunteers, the Warbirds Over Monroe Air Show has grown into one of the area’s largest aviation events honoring those who have served. Tickets at the gate cost $15 for adults, $5 for veterans, $10 for age 12 – 18, and under 12 are free. Saturday, November 5, 2016 • 10:00 A.M. 3:00 P.M.
Bring the family and join us for the first Heart of Georgia Air Show, featuring amazing aerobatic flying performances in a venue that showcases the Eastman community, the Heart of Georgia Regional Airport and the high-quality programs offered at Georgia’s only university with a public aviation program. From our family, please know that we have felt the love and warmth during such a private time. We wish we could respond to each of you individually with our heart felt thanks for the outpouring of love, support, and prayers. For those that did not know Greg personally, he was loved by many. Greg was blessed with a wonderful family that supported him. A beloved husband to Ginger Fox Connell, he also had a great circle of friends. He was greatly loved by these friends and family. And he’s going to be missed. Outside of Gregs large circle of family and friends, most knew Greg as an accomplished Aerobatic Airshow Pilot. However, his family and friends will be quick to tell you that Greg was way more than just a pilot who entertained hundreds of thousands in Airshows throughout the United States. He loved his family, and he has always been a tried and true friend to many. Greg was very passionate and loyal to his family and friends. This loss is being felt throughout the aviation community but its also being felt by many in the town he grew up in. Greg was raised in North Augusta, SC. He attended Paul Knox Jr. High School where he played both football and was a member of the golf team, holding the low score for the Patriots. Greg was a 1984 graduate of North Augusta Sr. High School, he wore lucky number 23 as a cornerback for the Yellow Jackets. He loved his hometown school and often found ways to show his support, such as his flyover at the Yellow Jacket stadium to kick off the start of each football season. He went on to graduate from the University of South Carolina in 1988 with a Bachelors degree in Finance. Greg later became a prominent small business owner of Connells Heating and Air. 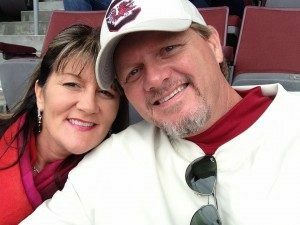 If you were lucky enough to have met Greg and spent some time with him, it would not have taken very long at all to learn that he was an avid, and highly passionate, South Carolina Gamecock. You would also learn that he and Ginger were huge animal lovers with 3 dogs, 2 cats, 2 horses, a donkey, and a pony!! Forever a music man, Greg also enjoyed playing the guitar and played in several bands over the years. So to all his family and friends, Greg was way more than just a pilot. He was someone that lived, loved and enjoyed life the same way he flew his aerobatic planes with extreme passion and intensity. His bigger than life personality always left a lasting impression to those who were lucky enough to meet him. And to those that were fortunate enough to make it into his circle of friends, you were family to him. Gregs passion for flying grew into his hobby of entertaining hundreds of thousands in Airshows throughout the United States. He is well respected in the aviation community in the Augusta, GA area and also with the close knit Aerobatic community throughout the United States. Gregs passion and love for aviation began early in his life. Greg started his piloting career at the mere age of 13. Through the years of hard work and dedication, he became an experienced aerobatic & commercial pilot with over 2000 hours of flight time logged. Greg held a commercial pilot license with multi-engine and instrument ratings. He also held an FAA aerobatic waiver card with several levels of certifications. Greg began his flight training in 1989, his instructor was, local aviation legend, Al Patton. Al Patton also instructed Greg’s dad, Charlie, in the early 1960’s, before Greg was even born. The two families became and remain close friends. His encouragement towards his instrument and commercial ratings came from his mentor, the “infamous” Charlie Davis. Charlie was also the one who initiated Greg’s aerobatic training. His good friend, Gary Ward, became his aerobatic instructor. Greg also helped Gary, part-time, with the globally recognized Gary Ward Airshows team. Greg was loved by many, and is leaving behind a loving family. In addition to his lovely wife, Ginger, he will be survived by his stepson Justin Daniel Harris, his father Charlie Connell and wife Sheila, his wonderful mother Frances(Jackie) Coughlin Connell, his sister Karyn Connell Edmondson and husband Paul, his niece Makenzie Grose and nephew Tanner Grose, brother-in-law Stan Fox and wife Anne and their 8 children plus their ever loyal Furbabies: Wingo, Fred, and Lacey. For those that can attend the memorial service, it will be held Wednesday, May 18, 2016 at 7:00 P.M. at The Richmond on Greene, 725 Greene St, Augusta, GA 30901. Family will receive friends from 5:00 to 7:00 P.M. prior to the service. Gregs lifelong friend, The Rev. John Chambers, will officiate the service. If you would like to leave a comment or share a memory with his friends and family, please visit Gregs website or FaceBook Page. The GCA “Wolfpitts” is a Steve Wolf designed, custom-built biplane using the latest technology, and “state of the art” materials and construction methods. These “High-Tech” materials and building techniques, that are normally reserved exclusively for the manufacturing of military jet aircraft and F-1 Race Cars, results in the end product being the highest performance, most aerobatically capable biplane in the world! You can download the GCA Media Kit Here! You can Contact GCA by clicking Here! Greg Connell took the Wolfpitts down to Florida on April 8 10, 2016 to perform in an Airshow for thousands to see. Here is a video of Greg Connells performance in Lakeland, Fl at The SUN ‘n FUN International Fly-In & Expo. Thanks to Nathan Gates of Orlando, FL for taking this video. The Greenwood County Airport is home to the annual Aviation Expo and is presented in partnership with the SC Festival of Flowers, Greenwood County and the Experimental Aircraft Association Chapter 1023. The Expo is a fly-in for general aviation and an Air Show allowing the general public to enjoy all aspects of aviation. We enjoy introducing and promoting aviation to all ages. This passion is reflected in our slogan Flying, Family and Fun! Join us for a great family outing and watch the first Aviation Expo 100 Air Race take-off, meet Jinks the Robot, fly the Challenger Center’s Flight-Simulators, take plane, helicopter and Monster Truck rides, view the Jet-Powered Van, Antique Car Show, R/C plane demonstrations, and dance in the “Shagging on the Taxiway” Contest. Enjoy the opening ceremony with Veterans recognition, and more! Come early to watch the arrival of extraordinary aircraft, and stay through our finale, one of the finest Air Shows in the southeast! If you fly-in, you are part of the show, so there will be no entry fee. Plan to fly-in or drive-in to make our show the greatest show ever! Thanks for your interest in the Aviation Expo! 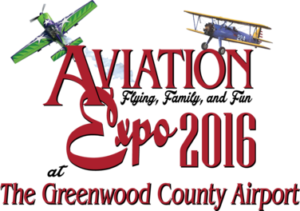 The Shaw Air Expo is scheduled for May 21-22, 2016. THE PLANE FOLKS WELCOME YOU! Join us on May 16th for DeKalb-Peachtree Airport’s Annual Good Neighbor Day Airshow and Open House! There is no admission fee to Good Neighbor Day. The 42nd Annual SUN n FUN International Fly-In & Expo presented by VISIT FLORIDA is April 5-10, 2016 in sunny Lakeland, Florida. This years theme is Honoring Our Armed Forces.